Bluetooth speakers have become very popular when it comes to listening to music among a group of friends away from home. Of course, that has the disadvantages of being also an additional expense, an extra gadget to load and something that probably will not be used so often. Imagine that you want to organize a party, but you don’t have audio equipment to play music, what will you do? There’s a free application for smartphones called AmpMe seems to offer a smart and attractive alternative that will not cost you any money. 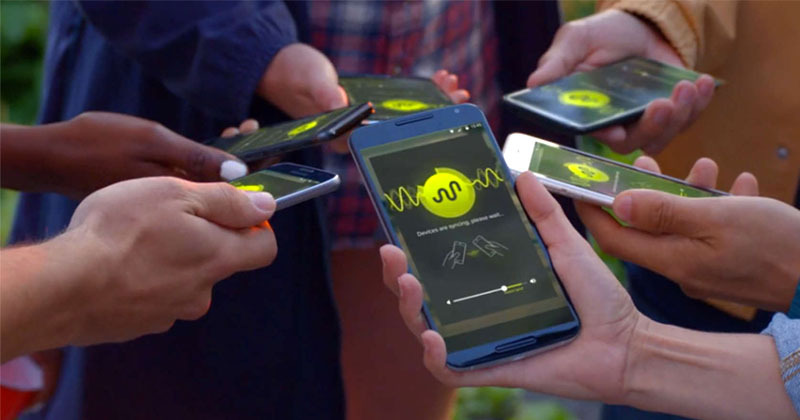 AmpMe allows an unlimited number of smartphones and tablets to play music in sync, effectively creating what its creators describe as a giant multi-room speaker set. The application is free and is available for iOS and Android, it does not use Bluetooth or Wi-Fi. All smartphones that you want to connect need to have the application installed. After downloading the app, you need to sign in as a host and give the code to your friends. Your friends need to input the code in the app and must it will be synced automatically among the devices to offer louder sound anywhere. This app allows users to play downloaded music files as well as the tracks from SoundCloud and Songza. The company is right now working to extend the functionality of the music sync app to support services like Spotify and Apple Music. If you wish to download AmpMe app for your devices then you can grab it from Google Play Store or iOS Apple Store. Maker of Commercials. Happily married with a beautiful daughter. Music Junkie.